Available in assorted colors. Put a little happy in your day, on your desk, or on your window sill with these cute flowers. 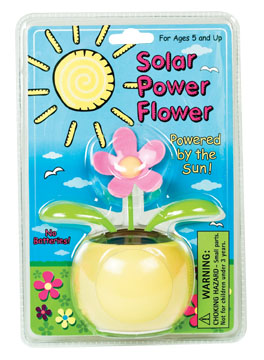 You can't help but smile when you see this solar powered flower move around, energized by florescent lighting or the sun. Measures 4.5" tall.